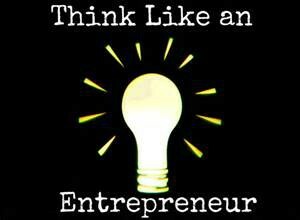 Would I be right in assuming every one of us wonders if we have the qualities to be a successful entrepreneur? You will hear many peoples’ versions, but all I can do is share mine. How do you define your success to earn that right in being considered an entrepreneur? There are various ways but to me, it’s your financial net worth accumulated from the business you have started from scratch. One can’t call himself an entrepreneur because he owns several businesses, is a people’s person, employs staff, works 18 hours a day but is not financially sound. It has to be the entire package. So I believe an acceptable high net worth should also be included with all those other qualities. Usually, the net worth is the by-product of all those qualities. In conclusion, when your net income has exceeded one hundred million rands, I would recognise you as being a successful entrepreneur. 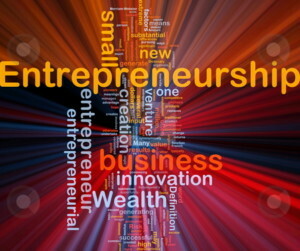 Don’t ignore entrepreneurs still in their growing stages or who have taken over a business and are still growing it. What’s important to note is that there are also, of course, people out there who are exceptionally entrepreneurial but because of the field they have chosen, they have no high net worth return. For the purpose of my example, I am not referring to that type of entrepreneurship. Meaning when something is not right you don’t let it continue until your bubble bursts. Your strong feeling makes you deal with it now. Now for some people, they may have grown up with it, and others (like me) just have to be lied to and be deceived enough times, stolen from enough times, until that strong feeling erupts like a volcano sooner than later . That rush of strong feeling is like the same rush when your very first girlfriend has just told you she likes you. (Don’t confuse the sense of feeling). So your strong feeling erupts immediately as opposed to much later. When something is also good they react instantly to giving praise and recognition when due. Their energy and attitude is contagious. If you lose money you can make it back, if you lose your name you never get it back. Always work with integrity . A street sweeper can work harder than you but is poor as he is not working smart. Working hard to be financially successful is not enough. You will note when successful entrepreneurs reflect back they will always recall the amount of late nights and weekends they have worked in order to become successful. Mixing with right people and asking right people for best advice. Plan your work, work your plan. Learning from your mistakes. Never ending thirst for knowledge. Common sense is not so common. In that area, you must also trust your gut instinct in many situations and not just be swayed by other peoples’ opinions. When you have a passion for what you do, do you agree it does not feel like work to you? It’s proven your success ratio is tenfold when you do what you do as you are so passionate when compared to someone who is doing it for the money. Enthusiasm is contagious, is yours worth attracting? Quality staff is attracted to enthusiastic leadership. We know having the right staff on the right bus and the wrong staff off the bus can often be the make, break or growth to any business. You agree? Now if you wish to drill down further, you will notice that entrepreneurs have truly mastered the perfection of most areas needed in order to be successful. Mastering the right words in the right place and the right time for their type of industry. With your 10 000 hours of experience, you can consider yourself the surgeon in your business. When someone tells you about a problem, no matter how big or small, you have the ability to quickly identify the problem with the right solution. Becoming that surgeon starts at 10 000 hours but the true measure is sowing more than 10 years of your life to your business to enjoy the full fruits of your commitment . Your thirst for knowledge never ends. You constantly increase your knowledge through books, the internet, and people. You have sowed for five years before you started to reap. The sowing still never stops. With your knowledge and experience gained, you have the ability to steer your boat in the right direction. You have perfected the art of hiring the right people on the right bus and getting the wrong people off the bus. Entrepreneurs cannot be specialists in every area of their business, but they know how to put the right people in to fill those areas that they cannot. They have very accurate and detailed reports covering all aspects of their business. They have the ability to always see things in a pro-active manner. They genuinely care about the well-being of people. Generous and very active in benevolence. Are fairly well balanced between work hard, play hard. They don’t put their hand out to ask for money, they have a fierce independence to make it on their own. Are there signs of entrepreneurship at a young age? You may wonder if while you were growing up from being a toddler if you showed signs of entrepreneurship? Definitely, maybe I can share some of my experiences. When I was five years old I saw my granny put a one rand note in her handbag. I asked her if I could look at that one rand note, she said “sure”. When I held it I wanted to own it. I said “what can I do to own this one rand note”, she said, “Well my grandson you have to work very hard for that”. I asked, “What work can I do”? She explained about taking all the weeds out, removing the snails, etc. This I did for six months and I got that one rand note. It was a great feeling. Before I was a teenager I would receive pocket money for chores done. I took 6 toilet rolls and put them all in a line, then wrapped a cover around them all and on top made a slit in each one so you can put your pennies in. Each toilet roll was then listed with a heading, like, movies, sweets, etc, so when I received my pocket money I would split it up and put it into each of the toilet rolls. Then reaching my teenage years I was given a budgie, I thought if I got another and put a little breeding box on the side I could have more. So this I did and more chicks were born. I eventually convinced my mom to have an aviary. We had someone build one for free. I was the luckiest kid around as budgies bred seasonally. Mine bred 24/7. I soon learned how to breed certain colours. Show budgies etc, I felt my pocket money was never enough, so the selling of my budgies put me in the money. My step dad once shouted at me for having two pieces of bacon one Saturday morning for breakfast. He remarked, “one day when you make your own money you can have as much bacon as you like”. Never give me a challenge. I put a local advert in the newspaper and sold a budgie for R5. The first thing I did was buy myself a whole pack of bacon. That morning there was no bacon except my whole packet. I put the whole packet in the frying pan. Immediately my step dad was screaming again, and I promptly replied “I bought the packet myself”, he was so miserable at breakfast eating egg and toast and no bacon, whereas I had egg, toast and a whole packet of bacon. My friends’ parents went through a phase of buying milkshake makers, they were R20. I asked my step dad for one and he promptly said “no”. I promptly put an advert in the paper and sold four budgies. Mike’s milkshake maker arrived, no milkshakes for step dad. Sadly, very mysteriously the whole mesh used to keep my budgies inside my aviary was pulled up and 80 budgies escaped and were killed, to this day nobody knows what happened. Often if dealt a lemon, it makes you dig deep for even better opportunities, so hey, let’s make lemonade. But with the money I made I used to follow the newspaper adverts for items to buy cheap and resell for a higher price. I did very well with this and would buy all kinds of things. Around the age of 15, I even recall buying a hang-glider for R100. I thought before I sell it I would, at least, try it out. I thought I could take off on top of our roof and fly past all my friends’ houses and wave to them. Quite the contrary, I flew off my roof and crash dived into our garden. I was battered and bruised. How I never broke something is a miracle. I pronto put it in the newspaper and sold the hang-glider for R800. This buying and selling through the newspaper carried on for years whilst I was a school kid. In national service, we earned R200 rand a month. Before I spent most of my time on the border, I was three weeks at the base and one week at home. So to supplement my income, I did marketing surveys door to door. I said to my step dad I am not asking for money, I am making my own but if they ever call to ask for me and I am at base please don’t tell them as I am not allowed to earn money as a civilian while doing national service. Unfortunately, he was quite spiteful to me and when they called, he told them I am back at the base camp. So that ended my marketing surveys. Yes, some entrepreneurs do start early in life in having the ability to show a profit. Many others rise to their success much later. Just never underestimate your ability within yourself. I encourage you now to make use of some of my experiences shared and one day email me on mikerussonpma@gmail.com and share with me your journey of entrepreneurship.